The other day I innocuously asked a colleague of mine to suggest a few distractions for an upcoming trip I’m making out west. Knowing he grew up in Southwestern Arizona, I expected a handful of curiosities and I got those aplenty. 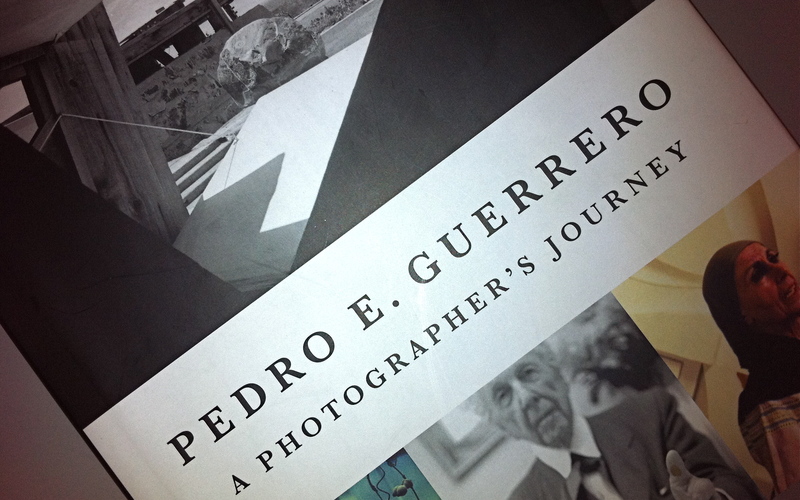 Then he pulled out a book and suggested I might enjoy a visit with his uncle, Pedro Guerrero, who, over the course of a remarkable 60-year career, photographed the houses of some of the most illustrious American architects of the twentieth century. I borrowed my friends book and spent half the afternoon enthralled. Emerging from a modest Mexican-American background in Arizona, Guerrero chanced upon his first professional job in 1939 photographing Taliesin West, the Arizona home of Frank Lloyd Wright. For the next twenty years he became the chief visual interpreter of Wright’s homes, producing unparalleled photographic records of Taliesin West and Taliesin, Wisconsin. As his career blossomed he forged partnerships and friendships with Alexander Calder – capturing the beautiful chaos and mayhem of his American and French homes and studios – and later, with the audacious Louise Nevelson, documenting the mosaic of her magnificently severe sculptures and spaces. The cast of characters in his life included Marcel Breur, Phillip Johnson, Edward Durrell Stone, Irving Penn, Alexy Brodovitch, Carmel Snow, and even Julia Child. Guerrero’s book, A Photographer’s Journey, is a fascinating record of a remarkably progressive period in American architecture and art, illustrated with almost 200 of his photographs. While chronicling his fruitful associations with some of the creative giants of the twentieth century, it also gathers a lifetime of images and memories. The result is a personal vision of almost one hundred years of American cultural history. Guerrero is now 93. He is still working. I think I need to pay him a visit.